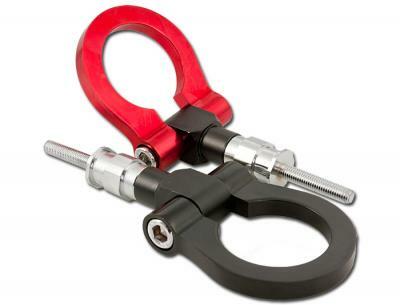 This towing eye can either be installed permanently. The loop is folding so you can fold it up/down or left/right when it's not needed. We've seen a couple of people damaging the thread or even breaking the screws at the installation of the product. The insert for the towing eye corrodes just as badly as the rest of the towing strut. Please clean the thread before installing a new towing eye. Cleaning preferably by re-tapping the thread.